Things get even wilder as more big names are confirmed at Benimussa Park. The season is hotting up in Ibiza as we reached the midway point of the summer. It's not just the weather we are talking about either, as Benimussa Park has announced the line-up throughout August at one of the Islands most popular parties The Zoo Project. Take a look at this. This month, The Zoo Project keeps its guests to the same high standard as the first half of the season with a list of underground stars set to take you to a tasty techno heaven. 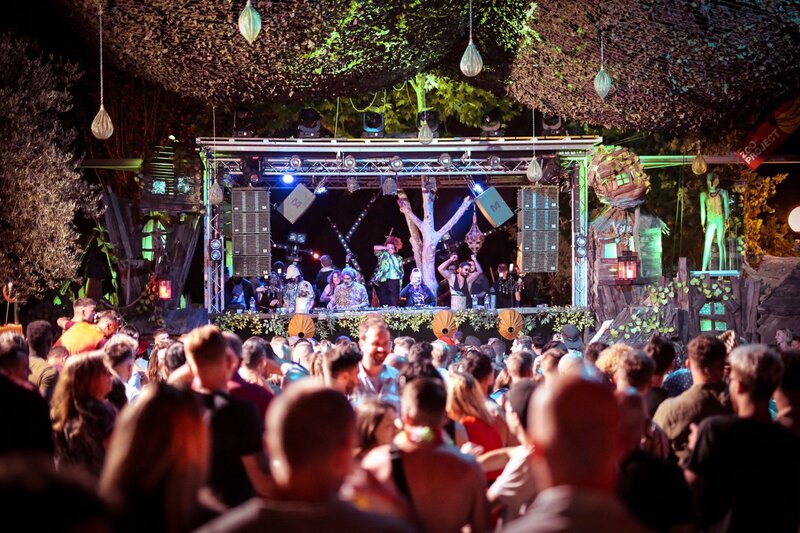 Deep in the forest at one of Ibiza's most characteristic open-air locations, this party fully embraces the theme and works as a unique festival-style party with authentic stages awaiting to awaken the party animals within all of you. Taking over the intimate Living Room, Jimenez and G13 stand out as some of the more prominent names to take to the decks this month. Set to play every Sunday of the four, they will be accompanied by Eli Rojas on 5 and 12 August and King Dest will join the jungle on 26 August. Be sure to find top-notch electronic music at The Treehouse with special guests Nakadia and Stephane Ghenacia playing on 5 August. Also set to get the hips moving are CiCi, Dana Ruh, Lee Onel, Michael James, Samuel Deep and more. On 19 August, get ready for a back to back bonanza with a line-up showcasing Alex Arnout B2B Clara Da Costa and Chris Stussy B2B Prunk. Always giving the crowd that melodic groove, Milou will be continuing her wild residency at The Zoo Project jumping on the tech train twice this month: once at the Treehouse on 5 August and additionally taking over the infamous Seal Pit on 26 August along with integral music force and Ibiza favourite Defex. The raving Seal Pit is arguably the most talked about area of the venue. If you haven't danced there before, this month's line-up gives you the perfect reason to do so. Davina Moss, Denney, Federico Grazzini, Jeancedric, Phillipp B2B Cole, Shaun Reeves and Silvie Lotto are amongst the names confirmed. If you can squeeze into the Rabbit Hole after hours then look forward to top tunes this month in order of week from Highpath Label Showcase, Knostra Showcase, Mate Showcase and Real Gang x Slap Funk, an afterparty like no other. If you thought the dancers, actors, artistic performers and variety of stalls and activities all surrounding the magical abode wasn't enough, then check out the recently added roller disco in Mandala Garden. Shin pads and music on, roll into a creative area injected with energy and melodic mixes. Before you go, why not get yourself glittered up and ready to roar with excitement at one of the most original and exciting parties on the island. You can also do so when you arrive, just get there early to avoid queues. See you there this month and stay tuned for September line-ups. Full details and tickets are below.